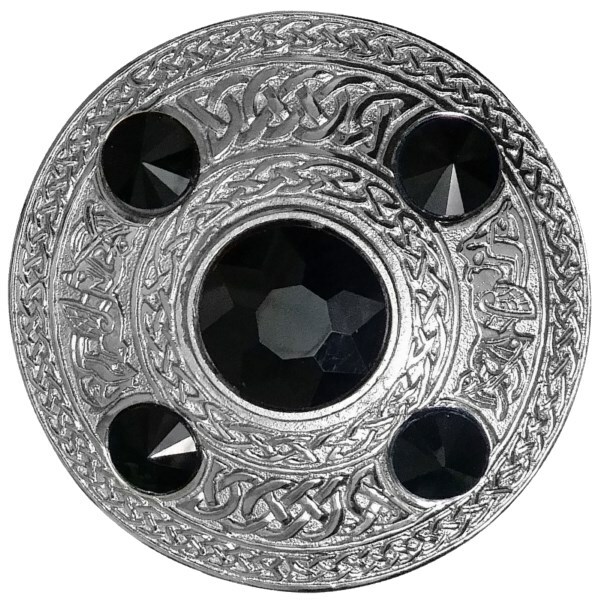 Premium brooch decorated with Celtic knotwork patterns and five jet black stones. Ideal for those of Breton or Cornish heritage as black is the national colour of Brittany and Cornwall. + Brooch made in brass with a chrome finish and five jet black synthetic stones.